On Tuesday June 11 GEEP Global will be hosting the third installment of the Partners in Project Green Breakfast Series. Join us for a presentation and tour GEEP Global’s secure ITAD (Information Technology Asset Disposition) facility in Brampton. GEEP (Global Electric Electronic Processing) is a global leader in managing the complete lifecycle of IT assets through electronic asset management and end-of-life electronics recycling. With over 20 years of industry experience and nine locations across the USA, Canada and Costa Rica, we provide individuals, companies and municipalities with the means for safe, secure and complaint reuse and recycling of their electronic waste; just search the hashtag, #GoGreenWithGEEP. GEEP strives to achieve a zero-landfill objective by extending the useful life of electronic devices; through absolute data erasure they can be refurbished and repurposed without any security risks. If this is not possible, our end of life services provide maximum recovery of natural resources through compliant and environmentally friendly operational practices. GEEP annually processes 130+ million lbs. of e-waste and securely remarkets for reuse 500k electronic products. GEEP protects customer information, preserves customer brand image and enhances customer capital management. The current rapid evolution and constant use of technology causes IT assets to be taken off the network for a variety of reasons including storage, transition, repair or disposition. This frequent refresh cycle leaves many organizations overloaded with unused technology equipment. GEEP assists organizations by securely repurposing their technology assets – with data security being our top priority. This allows organizations to reach their circular economy goals, while diverting electronics from recycling downstreams or landfills. Showcase GEEP Global’s secure ITAD (Information Technology Asset Disposition) facility. Explain how assets are securely received to ensure chain of custody. Highlight how assets are serialized and assessed against a technology cutline to determine possible remarket or destruction options. Explore data sanitization. 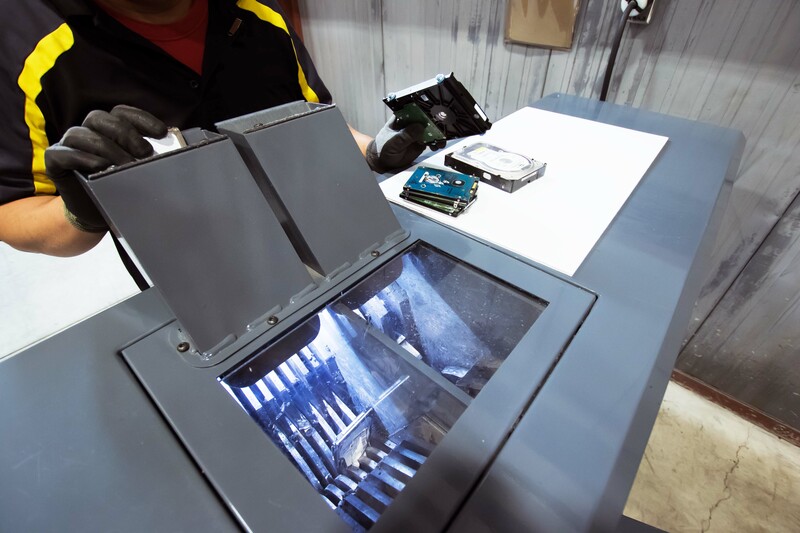 Explain data protection methods: hard drives are wiped using data erasure software or physically destroyed (accompanied by demonstration of hard drive shred). Explain how assets are graded for remarketing activities. Provide repair and refurbish demonstrations. Introduce the recycling process with examples of GEEP Global’s final base commodities. GEEP is a company committed to effectively and responsibly managing the consequences of the electronic age in which we live, while providing customers peace of mind through our data security solutions. Please note: Partners in Project Green reserves the right to photograph its events, and from time to time we use these photos on our website or publications. By registering for any of our events, you understand and acknowledge that your photograph may be taken and used, per Partners in Project Green’s discretion.